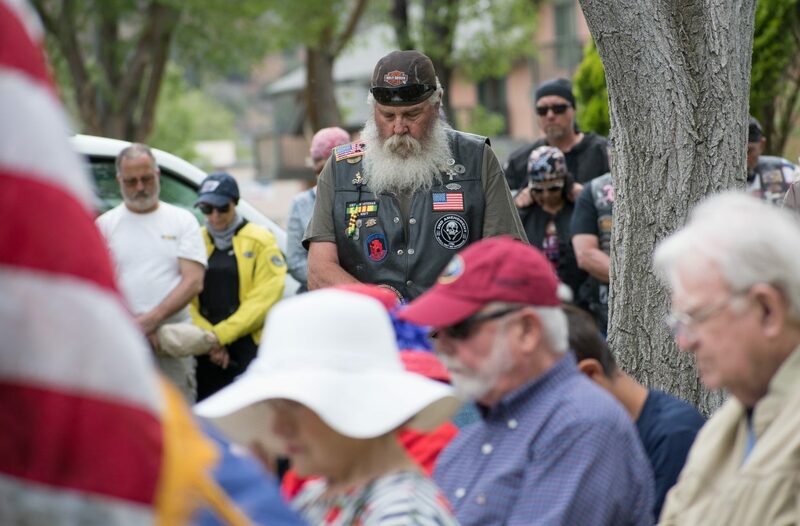 Photos from Monday’s Memorial Day Ceremony at Rosebud Cemetery in Glenwood Springs. All images by Chelsea Self cself@postindependent.com. 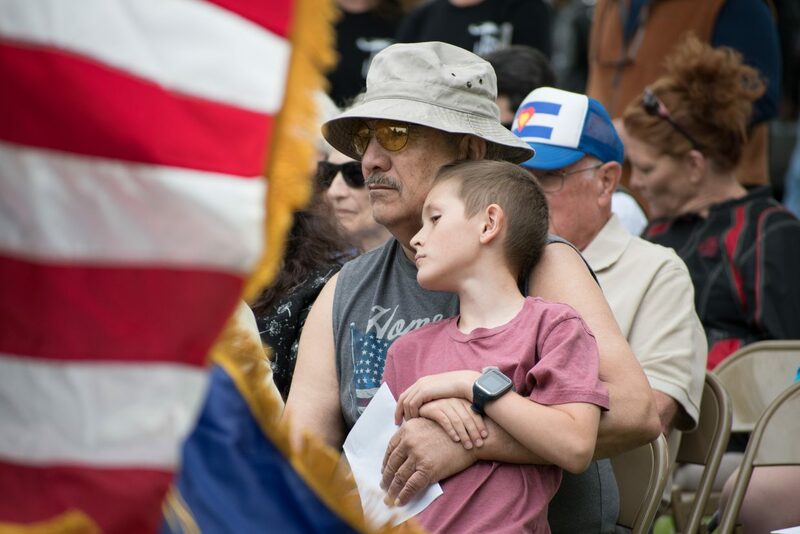 Dennis Dupoint and his great-grandson Colter Vanginkel (8) listen to speakers during Monday’s Memorial Day Ceremony at Rosebud Cemetery. 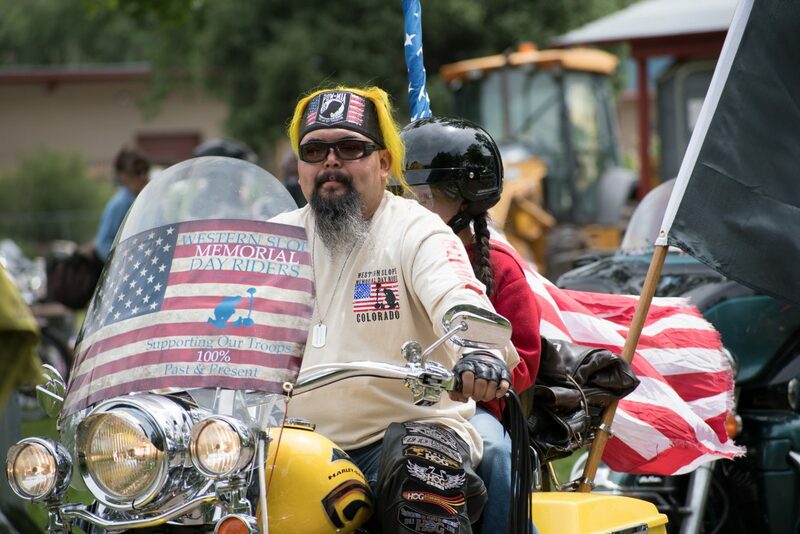 Members of the Western Slope Memorial Day Riders group head out in a roar of thunder during the conclusion of the Memorial Day Ceremony at Rosebud Cemetery. 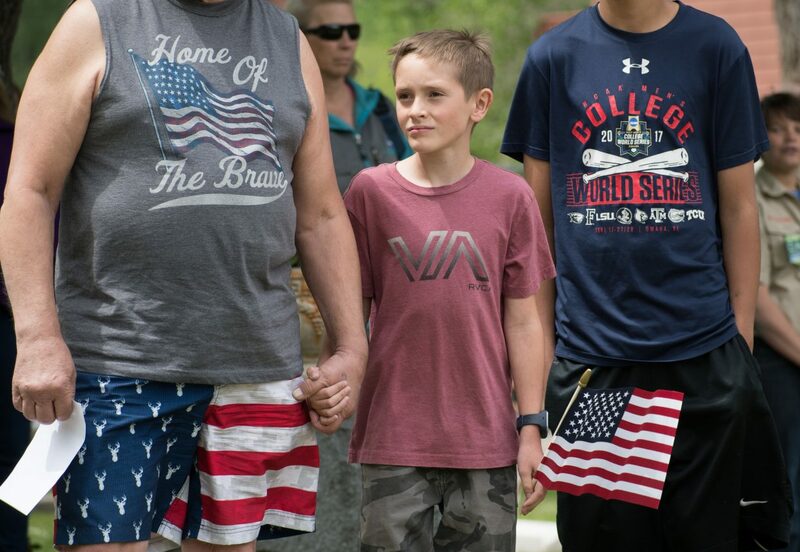 Eight-year-old Colter Vanginkel watches on as members of the Western Slope Memorial Day Riders group head out in a roar of thunder during the conclusion of the Memorial Day Ceremony at Rosebud Cemetery. 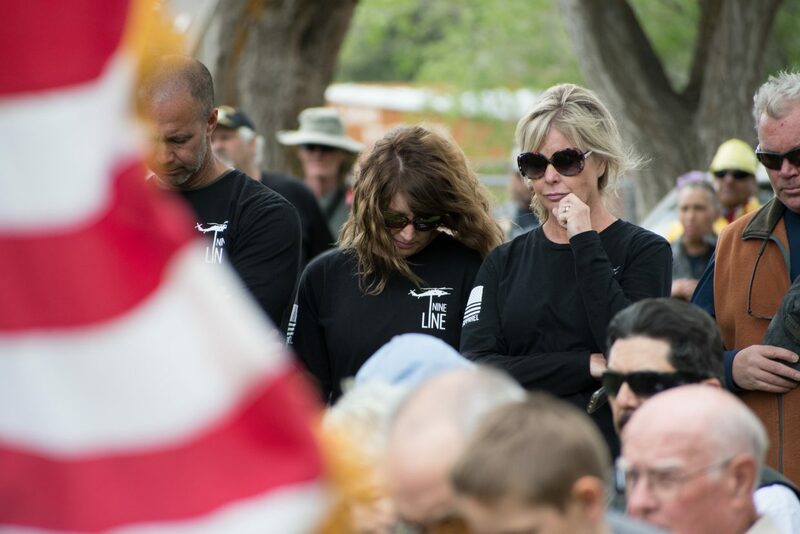 Members of the public take a moment of silence during a prayer delivered by the Rev. 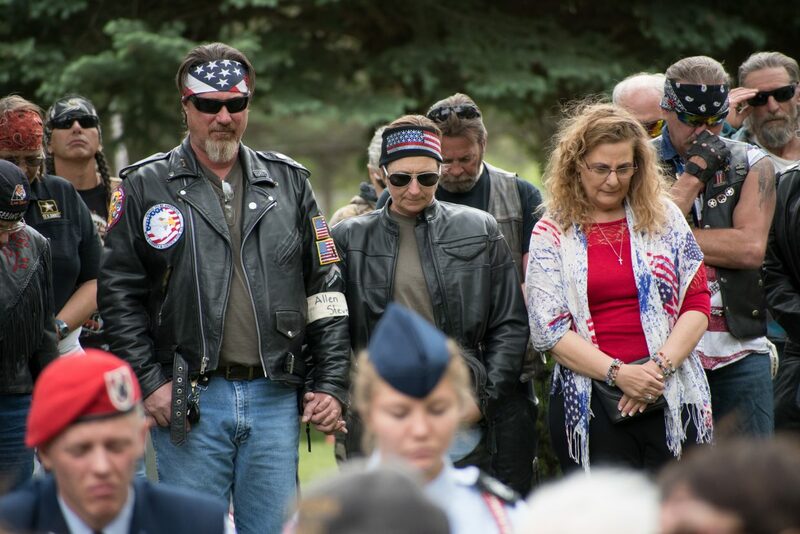 Jess Carlson at Monday’s Memorial Day Ceremony at Rosebud Cemetery. 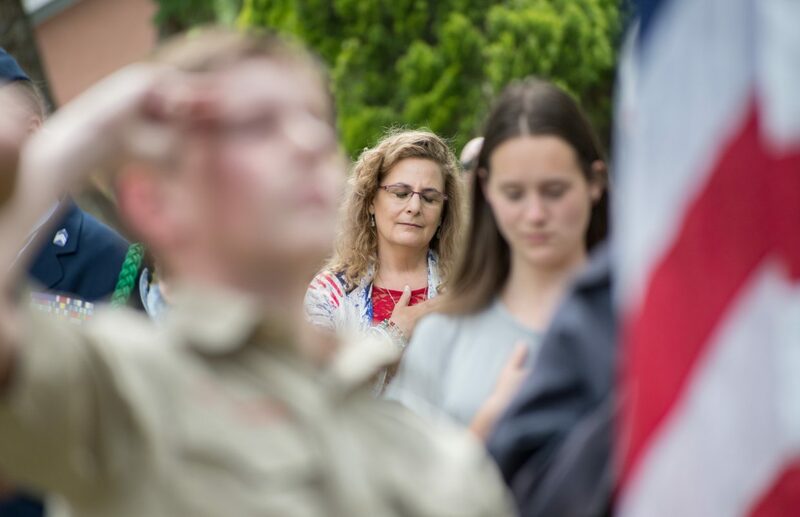 Glenwood Springs resident Lynette Lacerda places her hand over her heart and takes a moment to herself during the national anthem performed by Glenwood Springs High School Air Force JROTC Cadet Maj. Kaitlyn Bianco during Monday’s Memorial Day Ceremony at Rosebud Cemetery. 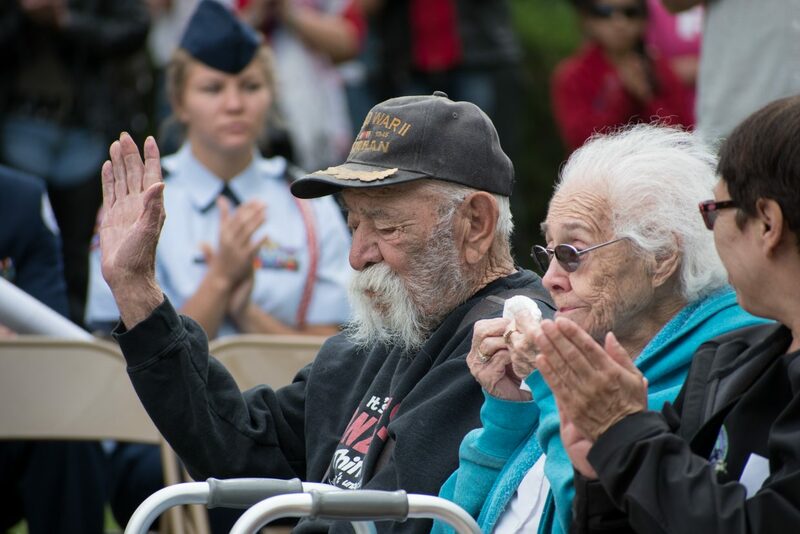 Jose Gonzales and his wife Lupie are recognized during Monday’s Memorial Day Ceremony at Rosebud Cemetery. 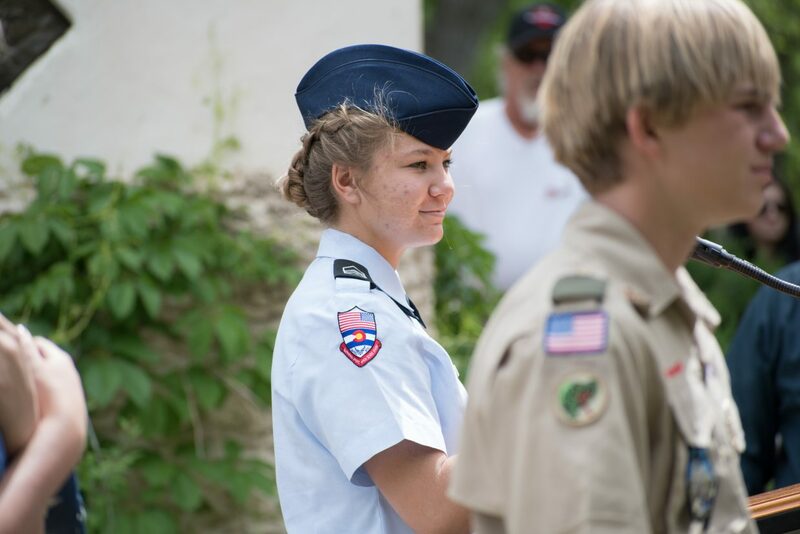 Glenwood Springs High School Air Force JROTC Cadet Maj. Kaitlyn Bianco prepares to sing the national anthem while Boy Scout Troop 225 lowers the colors during Monday’s Memorial Day Ceremony at Rosebud Cemetery. 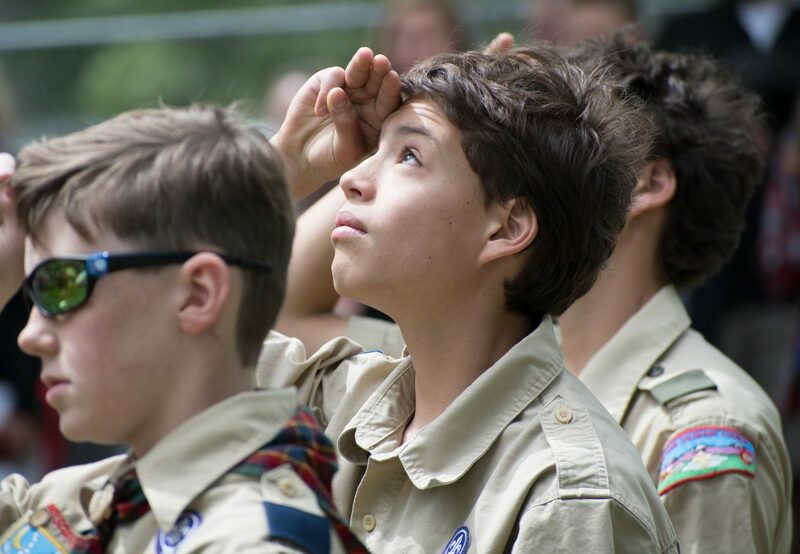 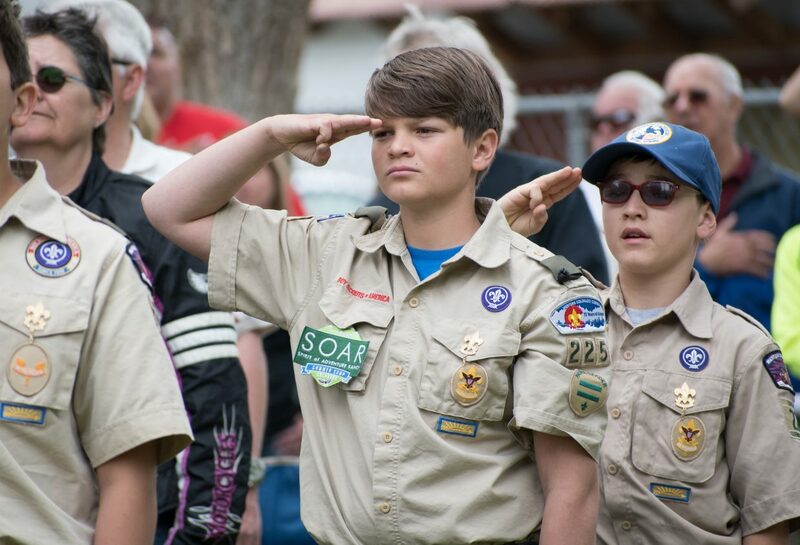 Members of Boy Scout Troop 225 salute the flag during the lowering of the colors during Monday’s Memorial Day Ceremony at Rosebud Cemetery. 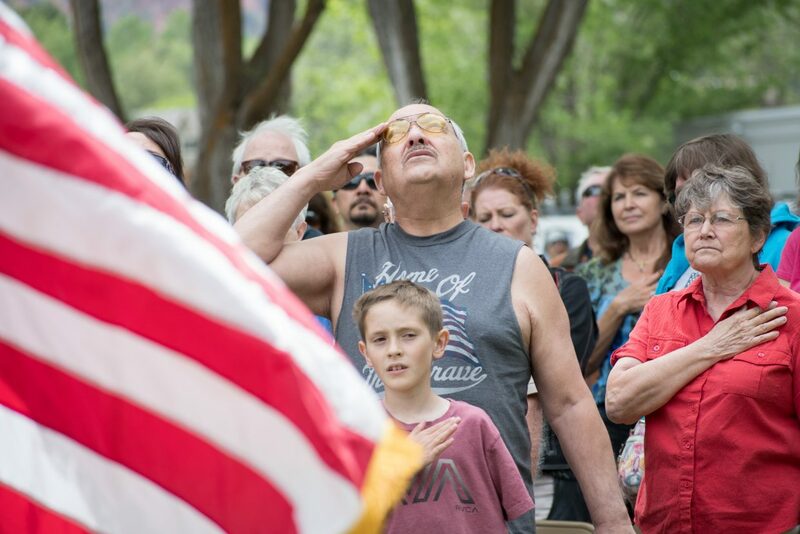 Dennis Dupoint and his great-grandson Colter Vanginkel (8) salute the flag together during the national anthem performed by Glenwood Springs High School Air Force JROTC Cadet Maj. Kaitlyn Bianco during Monday’s Memorial Day Service at Rosebud Cemetery. 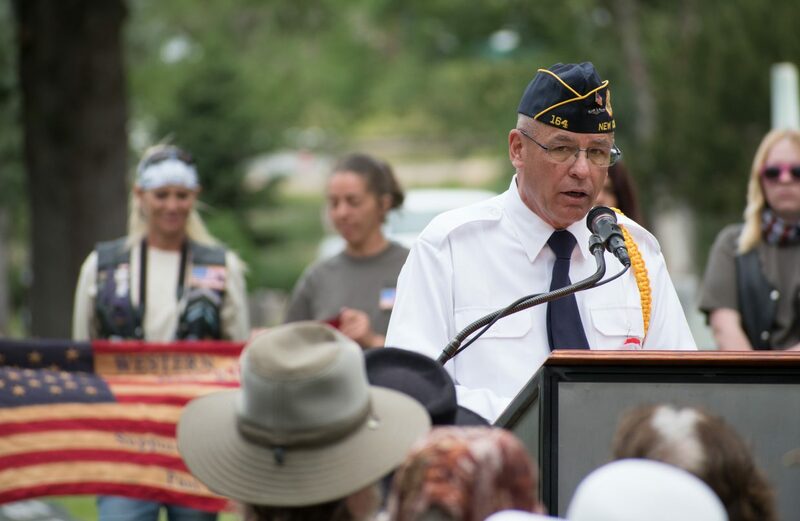 Dan E. LeVan addresses the audience during Monday’s Memorial Day Ceremony at Rosebud Cemetery in Glenwood Springs. 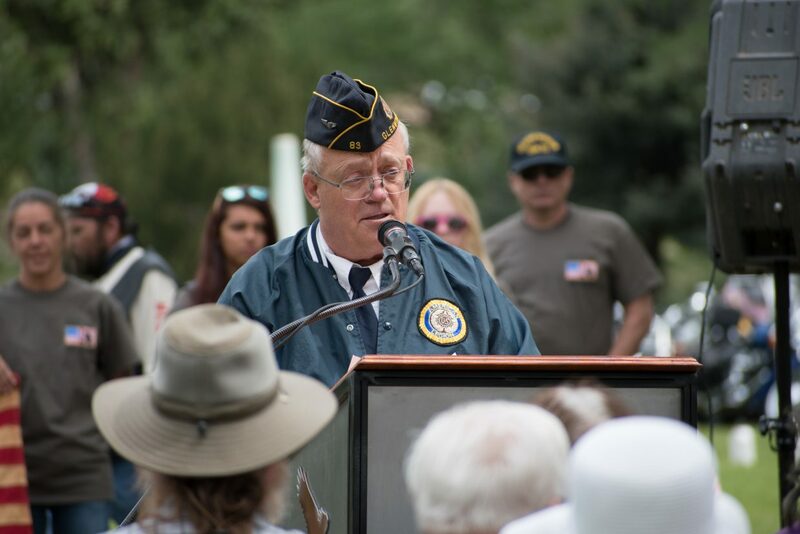 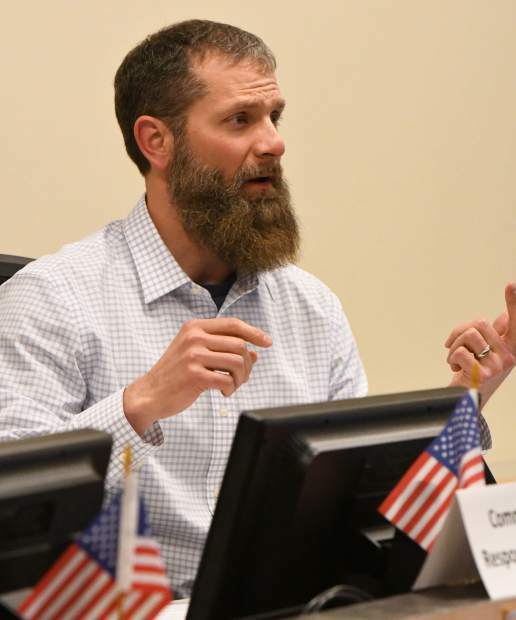 Garfield County Veterans Affairs Officer and Western Slope Veterans Coalition representative Greg Bak addresses the audience during Monday’s Memorial Day Ceremony at Rosebud Cemetery. 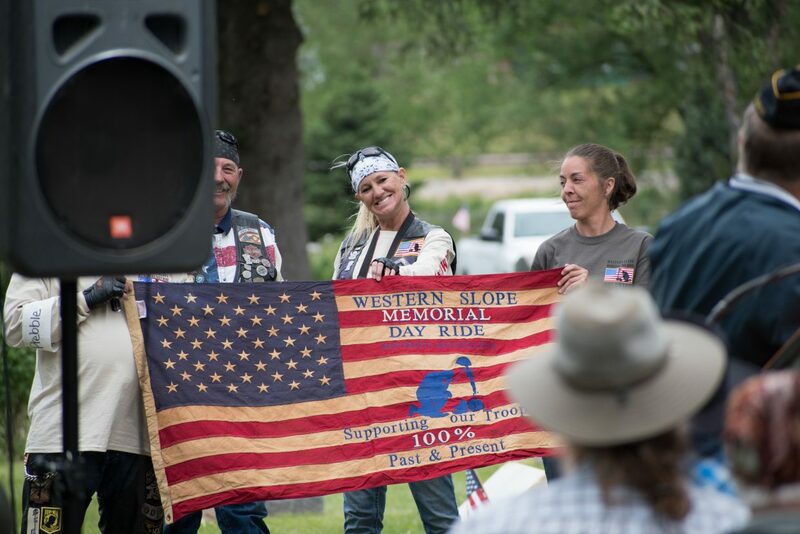 Members of the Western Slope Memorial Day Riders group are recognized during Monday’s Memorial Day Ceremony at Rosebud Cemetery. 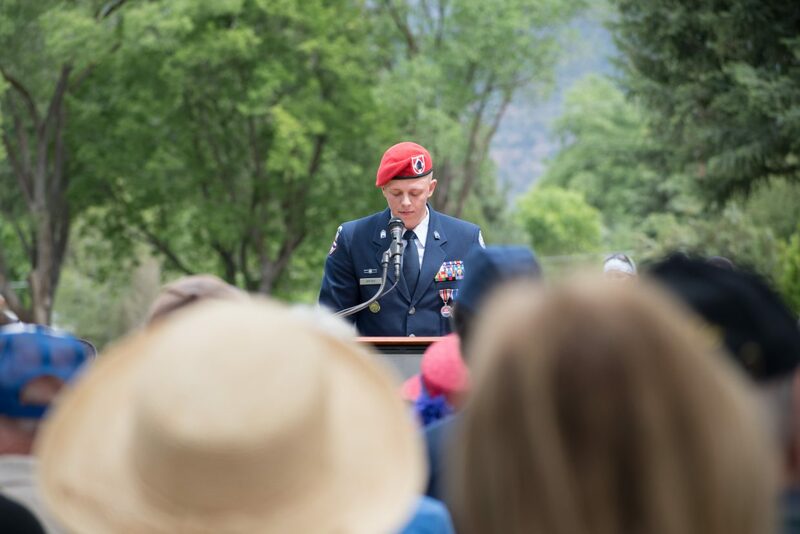 Glenwood Springs High School Air Force JROTC Cadet Lt. Col Avery Justice gives the Memorial Day Address during Monday’s ceremony at Rosebud Cemetery. 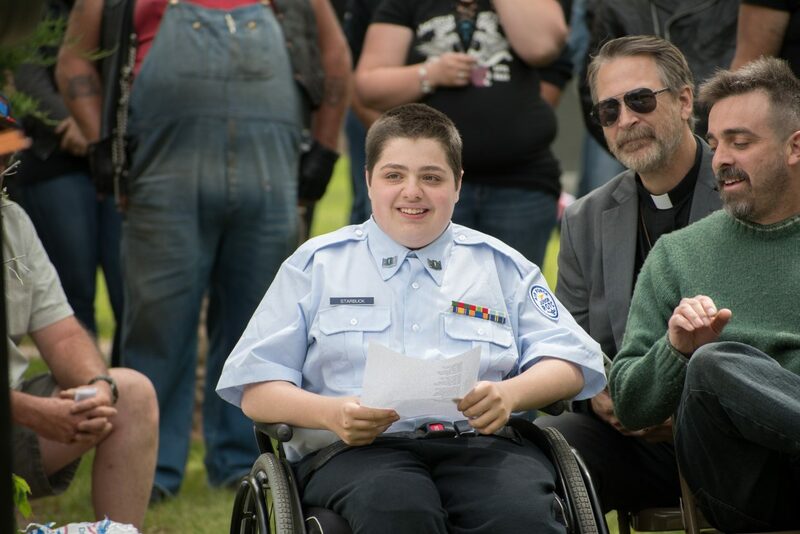 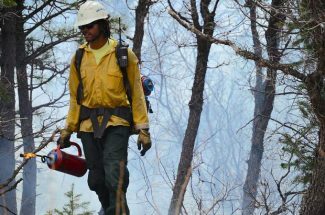 Glenwood Springs High School Air Force JROTC Cadet Sgt. 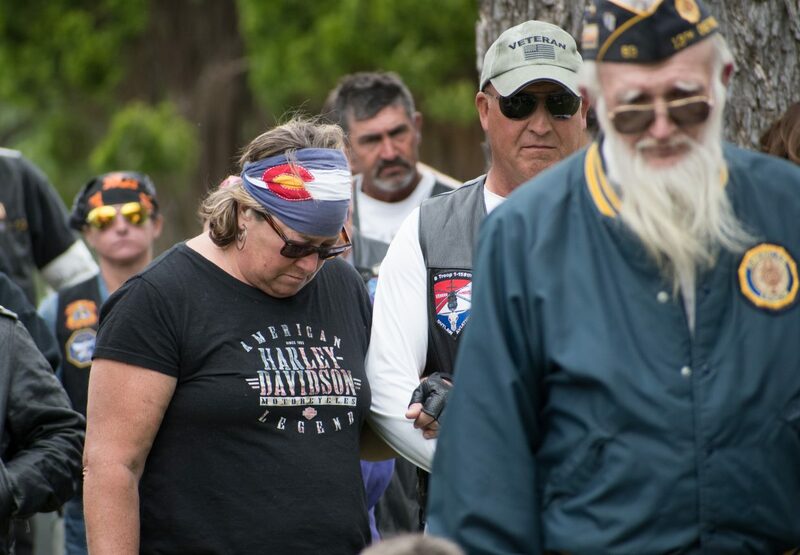 James Starbuck is congratulated after singing “My Country tis of Thee” during Monday’s Memorial Day Ceremony at Rosebud Cemetery.